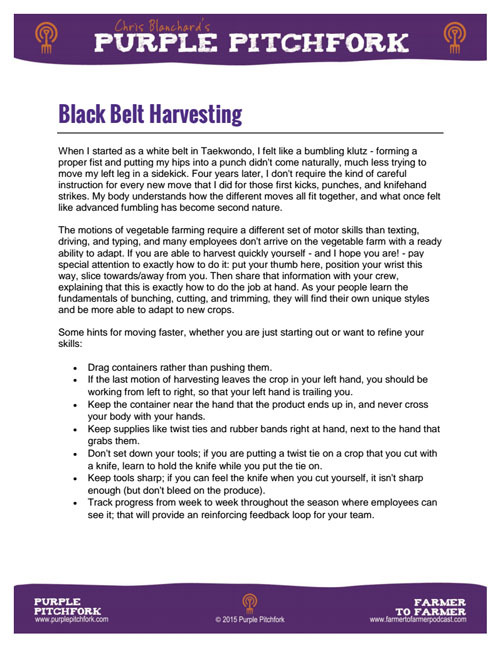 You came here looking for a free quicksheet on handy harvesting techniques, right? Well, what if I told you this was just the top of the rutabaga. We have bushels of other helpful tips and resources to share with you in our weekly newsletter. Seriously, it's good stuff! We're not requiring you to sign up in order to receive the free materials, but we really think you'll be glad you did. If not, you're always welcome to remove your name from the list at any time. And if you've already subscribed, thank you. We hope you're enjoying the information.